Speech at the 2004 Pingyao International Photography FestivalPress Conference in Beijing Shen Weichen Member of the Standing Committee of CPC Shanxi CommitteeDirector General of Publicity Department of CPC Shanxi CommitteeChairman of the Organizing Committee of the 2004 Pingyao International Photography Festival (June 30, 2004) Respected guests, Friends of the press, I am especially pleased to meet up once again with all of you here. I would like to avail myself of this opportunity to extend, on behalf of the CPC Shanxi Committee, the provincial government, and the Organizing Committee of the 2004 Pingyao International Photography Festival, my sincerest thanks to every guest and friend in the press present here for your concerns, support and active participation in the festival. Shanxi is one of the important origins of the Chinese nation and enjoys an abundance of historical and cultural resources. The popular saying "Shanxi is a microcosm of the Chinese civilization" refers mainly to fact that the earliest Chinese civilized societies emerged in southern Shanxi--the activities of the Yao, Shun and Yu were concentrated in South Shanxi. The 5,000-year-old civilization has yielded a considerable number of treasures to Shanxi, among which, 119 sites are under national protection--the highest figure in China. Shanxi also boasts 18,118 ancient buildings of different styles and sizes; 12,700 painted sculptures dating before the Tang dynasty; and 24,000 square meters of ancient wall paintings--all ranking first in China. To realize an all around, balanced, sustainable development, the provincial Party committee and the provincial government have proposed that Shanxi be built, in the next 10 or so years, into a culture-rich province that is the proud possessor of a large pool of talents, a wide variety of branches of learning, a rich program of events, a dominance of leading industries and a range of name brands. This reflects the current developmental trend of society but also the unique cultural superiority Shanxi has been enjoying. To build a culture-rich province, we must pool up our resources, spruce up our image, build our name brands, and raise our profile. Based on this concept, we have, from 2001, organized the Pingyao International Photography (PIP) Festival, with the strong support of the Ministry of Culture and the State Council Information Office, under the generous auspices of the provincial Party committee and the provincial government. Now after three years’successful experience, the PIP festival has become a leading brand of the international photography world. Approved by the Ministry of Culture, the 2004 Pingyao International Photography Festival is to be held as usual in the ancient city of Pingyao on September 16 through 22. The upcoming festival will be still hosted by China Photographers’Association, China Art Photographic Association, Shanxi International Culture Exchange Association, and Shanxi Culture Bureau; it will be organized by the Jinzhong Municipal People’s Government and the Pingyao County People’s Government. Compared with the last three editions, this festival has the following four new features: First, the theme is more distinguished. The theme of this year’s festival is"Civilization and Development"with a majority of exhibitions displaying the development tracks of human civilizations as traversed by such ancient civilized countries as China, India, Egypt, Babylon and Peru. Surrounding this theme, the 80 or so exhibitions feature a wide variety of styles. When looked individually, these exhibitions embody the new exploration and new achievement of the international photography world; when looked collectively, they have realized a delicate fusion between artistic photography and documentary photography, thus better embodying the theme of "Civilization and Development". Second, the international community shows greater interest. The three-year-old Pingyao International Photography Festival has attracted widespread interest and high acclaim from photography circles the world over as well as receiving overwhelming support from the media and business sectors. Hachette Filipacchi Medias from France, Hong Kong Phoenix TV and China Mobile in particular join in the festival for the first time, adding color and dynamics to the 2004 Pingyao International Photography Festival. The French Hachette Filipacchi Medias, a publishing giant in the world, will cooperate with the Organizing Committee for the first time in sponsoring the"Elle (China) Fashion Photography Award"competition. Hong Kong Phoenix TV, an internationally famous media group, will sponsor the"Hong Kong Phoenix TV Best Book of Contemporary Chinese Photography Prize". China Mobile, a famous telecommunications group, will launch"China Mobile Cup Best Photographers Prize"at the 2004 Pingyao International Photography Festival. The above-mentioned three prizes will be solemnly presented at award-giving evening parties during the festival. Third, exchanges are more widespread. The 2004 Pingyao International Photography Festival will feature more than 80 professional exhibitions totaling some 3,500 photos of different styles and subjects by 150 or so photographers from a score of countries and regions. Seven major exhibition venues will be arranged according to styles and contents with each of them displaying the work of at least an international photography master. Apart from the French photographers’exhibits, there is a collection of photographs by Ansel Adams, a famous American landscape photographer; an exhibition entitled"Looking and Thinking"featuring ten German photographers curated by Wang Xiaohui, a celebrated artist residing in Germany; an exhibition by Yoshihiro Tatsuki, a well-known Japanese photographer; and artistic photo exhibitions provided by both international and domestic photography colleges and schools. Fourth, the atmosphere hits a higher level. The sponsorship of the opening ceremony evening concert, one of the most important events of the festival, will be offered to society in line with the requirement of cultural institution reform and the development of cultural industry. Facts have proved that it is one of our successful experiences to blaze a new trail in foreign publicity work by cashing in on the profound historic and cultural resources and erecting a platform for Sino-foreign cultural exchanges. Preparation of the festival began at the end of last year. At the present moment, everything-from art curation to publicity to logistics--is going on steadily and smoothly, according to the time schedule specified by the Organizing Committee. 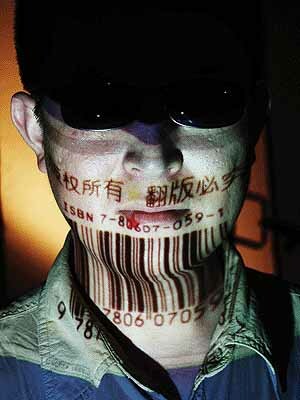 Art direction: The 2004 Pingyao International Photography Festival has enhanced the international curator system. The Art Committee has for the first time established an academic committee, which is responsible for this year’s photo exhibitions. The committee is composed of seven people all of whom are well-known in international photography world including Mr. Rene Burri and Mr. Yann Layma, both famous French master photographers; Mr. Yoshihiro Tatsuki, a well-known Japanese glamour photographer; and Mr. Wu Jiabao, an independent curator of Taiwan Image and photography research fellow of International Gallery. Every member of the committee can independently design or invite other professional curators to do the design. The Art Committee held meetings in April and June attended by a score of foreign and domestic curators to discuss matters concerning the theme, curation and design of the exhibitions, thus securing a high degree of internationalism and professionalism for this year’s exhibitions. Besides, this festival will organize evaluation and review activities by world-famous photography masters and will install statues of Ansel Adams, an internationally accomplished photographer, and Jiang Qisheng, a pioneer in Chinese photojournalism, along with the displaying of their works and their career highlights. Other events like the slide screenings, photography forums, and photo field trips are under preparation as per plan. Media and publicity: Overseas promotional work has been strengthened this year. In late May, the Organizing Committee held press conferences on the 2004 Pingyao International Photography Festival in Tokyo and Hokkaido, Japan while"Shanxi the Beautiful"exhibition was opened to the Japanese general public. Members of the delegation had conducted extensive exchanges with the Japanese photographers in Tokyo and Hokkaido and other places in Japan. The French magazine"Photo"will cooperate with the Organizing Committee in publishing an extra issue in September, which will introduce Pingyao and the Pingyao International Photography Festival to the international world. Early in July, the Organizing Committee will send a delegation to the Rencontres D'Arles in France to interact further with the international press, photography sector, and people from all walks of life. Logistics: Capitalizing on a new round of"Promoting Civilization, and Hygiene and Setting up New Trends"campaign, Pingyao County Government is improving the environment, site facilities, and other services so as to provide meticulous service, create a sound environment, and offer an extensive range of exchange opportunities for both domestic and overseas guests and photography lovers. Currently the preparation of the 2004 Pingyao International Photography Festival is in full swing. And I am confident that, with the concerted efforts of the Organizing Committee, Chinese and foreign photographers, and people from other sectors, this year’s festival will emerge even better, more beautiful than ever and show more taste, more attraction. Ladies and Gentlemen and friends, Pingyao is a famous World Cultural Heritage site and the Pingyao International Photography Festival is a grand assembly for Chinese and foreign photographers. I would like to extend my sincere invitation to every guest and friend here, and, through you, to photographers, photography enthusiasts, and people from other walks of life from sisterly provinces, municipalities and autonomous regions, from Hong Kong, Macao and Taiwan, and from all countries and regions in the world, to come to Shanxi and meet up once again in Pingyao this September.